Create that irrisitable smell and delicious salty crunch at your next party or event. Now we’re popping! Create that irrisitable smell and delicious salty crunch at your next party or event. 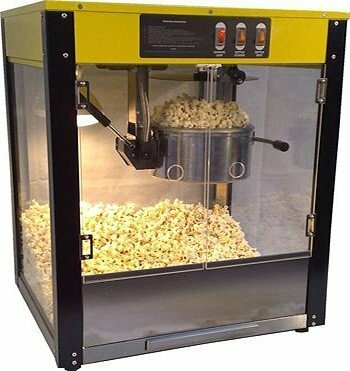 We have the perfect size popcorn machines to start the craze and keep your guests smiling and coming back for more.